This dish is a traditional Sunday dinner dish which is usually served with roast chicken, brown stewed chicken, pork, beef or fish. If you are vegetarian or Rasta then you eat your rice and peas with stewed vegetables and trust me the Rastafarian stewed veges are great! 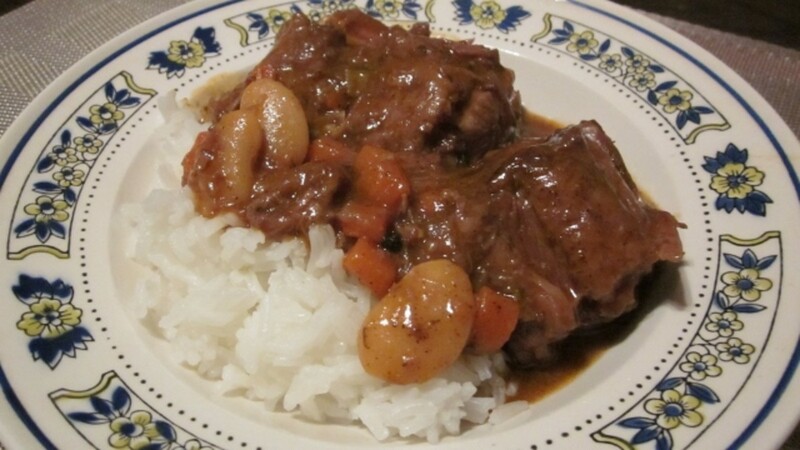 In other parts of the world their version of this dish might be known as rice and beans. Jamaican rice and peas are cooked using either red kidney beans (known as red peas) or gongo peas. Gongo peas is seasonal and is usually available during the Christmas period so red peas has become the popular choice. There are the exception of those who were not born on the island so have not adopted the tradition or some people have chosen to break the tradition, but in any case, the root of the Jamaican Sunday dinner is the rice and peas. You can use your choice of rice. I have stopped using the regular white rice and have been using the par-boiled for some time for my Jamaican rice and peace. Whenever I can afford it I will use the brown rice, but that is quite expensive and since I changed my diet, I have been eating the brown rice as cooked plain rice. 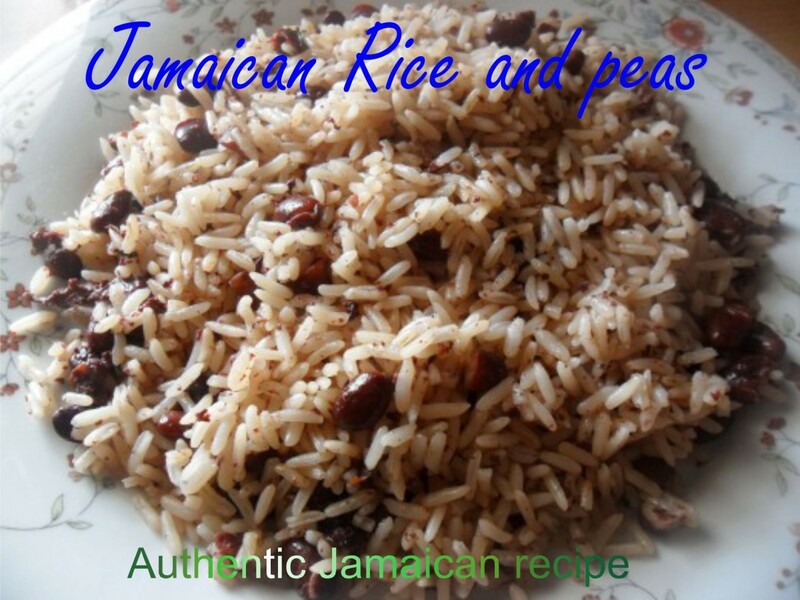 The way Jamaicans love their rice and peas, they will use almost any peas or beans available to make the dish. Here are some other choices for Jamaican rice and peas just in case you can't get or don't want the red peas or kidney beans. Round red is another red peas but is not kidney beans. Not sure of the American name. Black beans. I love this one. You have to give the peas a soak overnight to get away some of the colour or the rice and peas might turn out too dark! 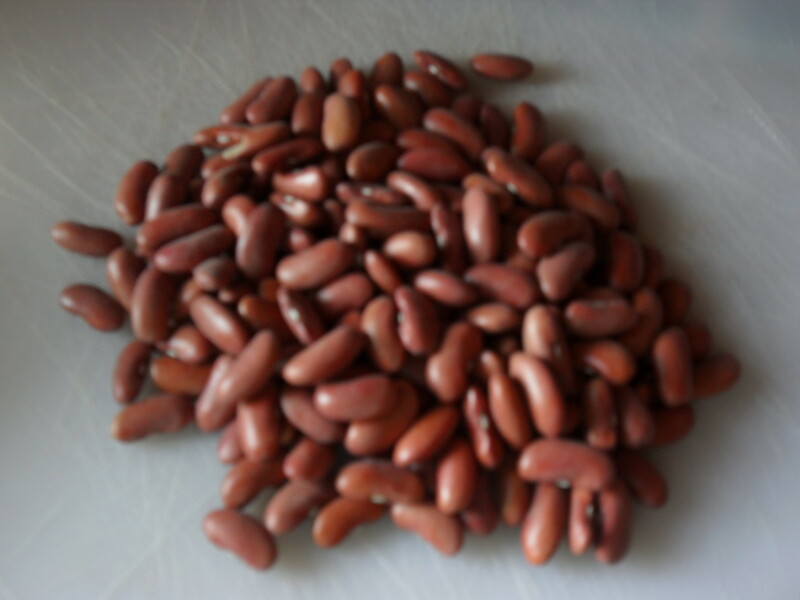 Adzuki is a red bean but not many Jamaicans know it. 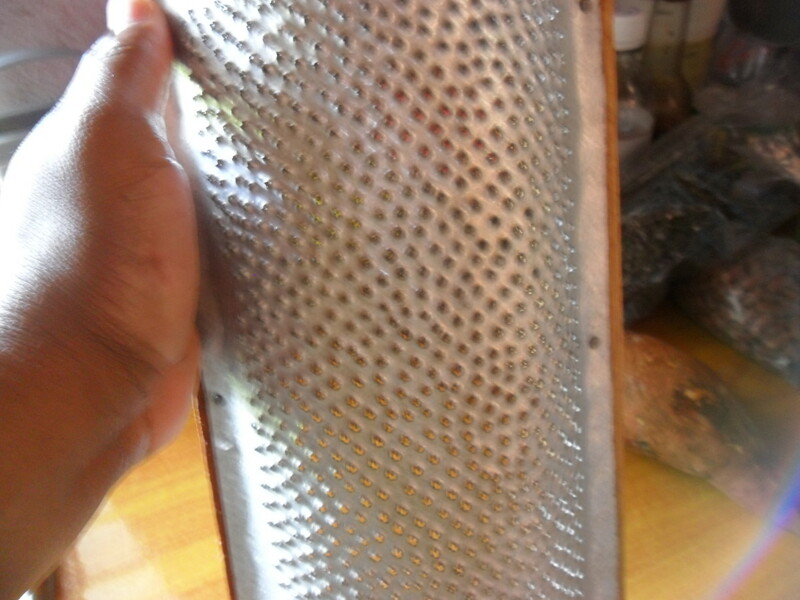 But Jamaica's favorite peas for rice and peas is the gongo peas and this is used to make Christmas dinner. 1 medium to large coconut (milled or grated) OR ***4 cups canned coconut milk. *** If using coconut cream, add water to make four cups of milk. One 16 oz can will make 4 cups milk. If using the packet powdered milk follow the instructions. 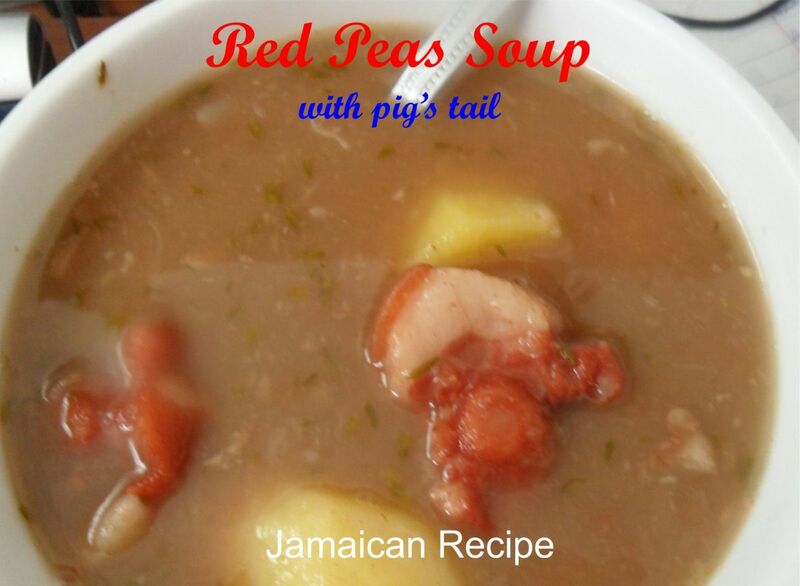 In a bowl cleanse your red peas by removing foreign objects and bad peas. Wash your peas about three to four times to make sure they are properly cleansed. In a large pot, preferably a Dutch pot, or your favourite rice pot, put peas with 3 cups water, pimento and garlic on medium high to cook. When the water starts to boil add another cup of water and cover. Bring to a boil again and reduce flames to low (not too low). Let peas cook until almost all the water is gone. While the peas are being cooked, mill your coconut. I use a traditional grater, but you can use a blender by cutting your coconut into tiny bits and blending with 4 cups of water. As I mentioned, I use a grater, well not me....my fiancé is responsible for grating the coconut every Sunday....lol. After milling or grating the coconut we add 4 cups of water and squeesze the juices out of the coconut, throwing the thrash away so the goats or pigeons can get them. Take the rice and peas quiz! When the peas are cooked add your coconut milk or juice. Smash or pound your scallion and add to your pot. Add washed thyme and washed green scotch bonnet pepper. Salt to taste. Increase flames to medium and cover pot. 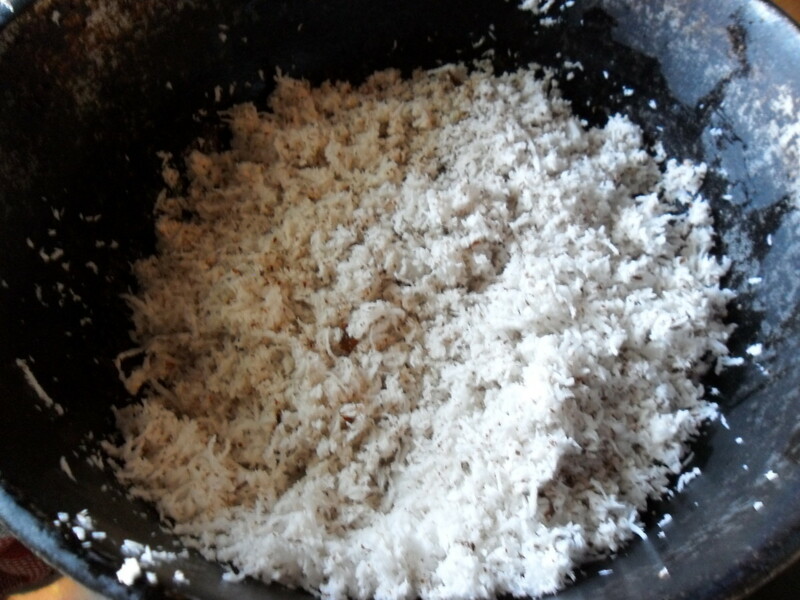 Let coconut cook for about 10 - 15 minutes. Rinse rice two times and drain. Add rice to pot and stir. When the pot starts to bubble again reduce flames to low and let simmer until all juices are gone. 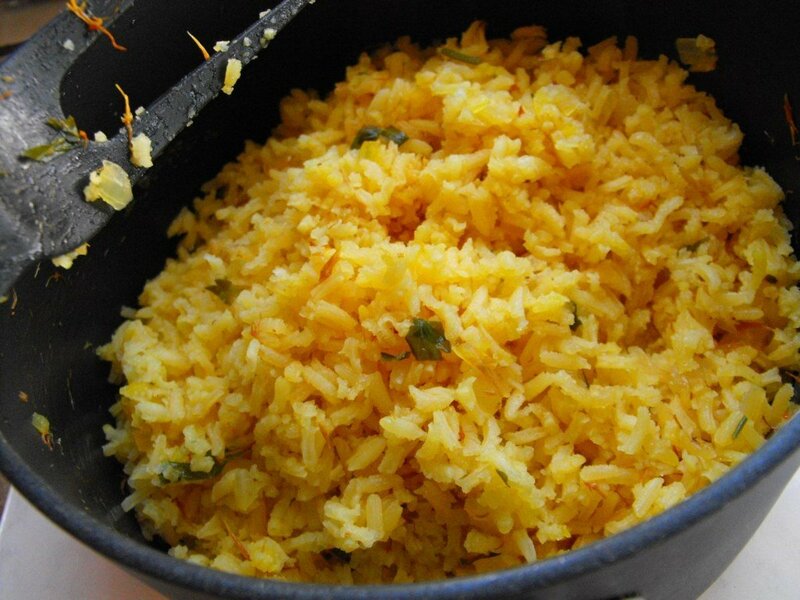 You can test the readiness of the rice and peas by inserting a fork in the center. A fork that comes out wet means that your rice and peas isn't dried out enough. 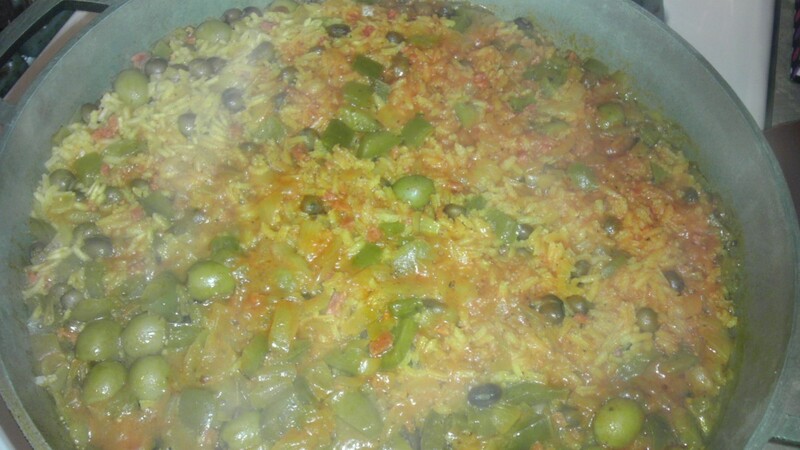 You can also know when the rice and peas is cooked when the rice starts to catch at the bottom of the pot. Sometimes you don't have coconut so what do you do? Here are a few variations to the Jamaican rice and peas for when you fall short on coconut milk. No coconut no problem. Instead of the four cups of coconut juice add plain water, 1 heaping tablespoon butter, 1 capfull coconut oil or vegetable oil, 1 tablespoon sugar. Season with your scallion, thyme and pepper. Add a dash of blackpepper to taste. Cook seasonings for 15 minutes then add rice and cook as per recipe. 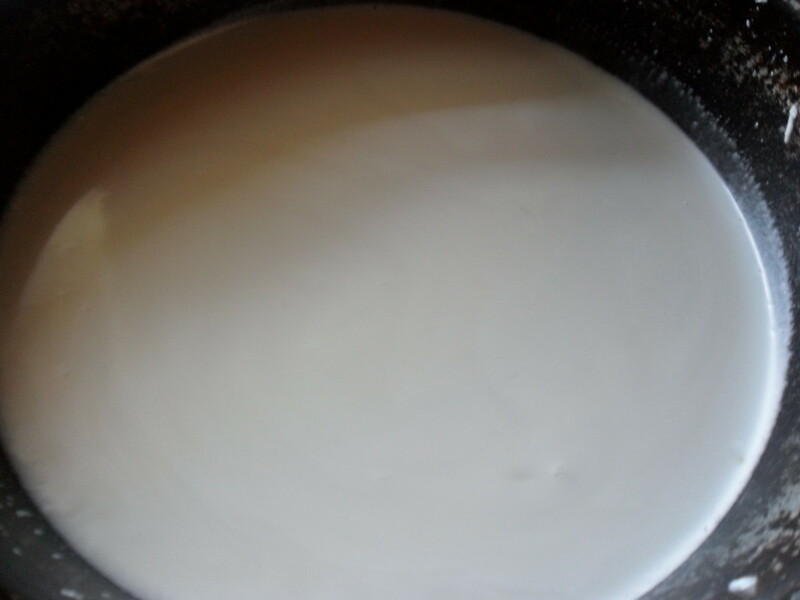 Using evaporated milk. Make 4 cups milk by adding enough water to one 16 oz can of evaporated milk. Use instead of coconut. Add a teaspoon of vegetable oil to pot when seasoning. Cook only for five minutes after it starts to boil. Follow the rest of the recipe per instructions. Be careful to watch that the milk doesn't boil over so it's best not to cover pot for this until you put your rice in. Use soymilk. 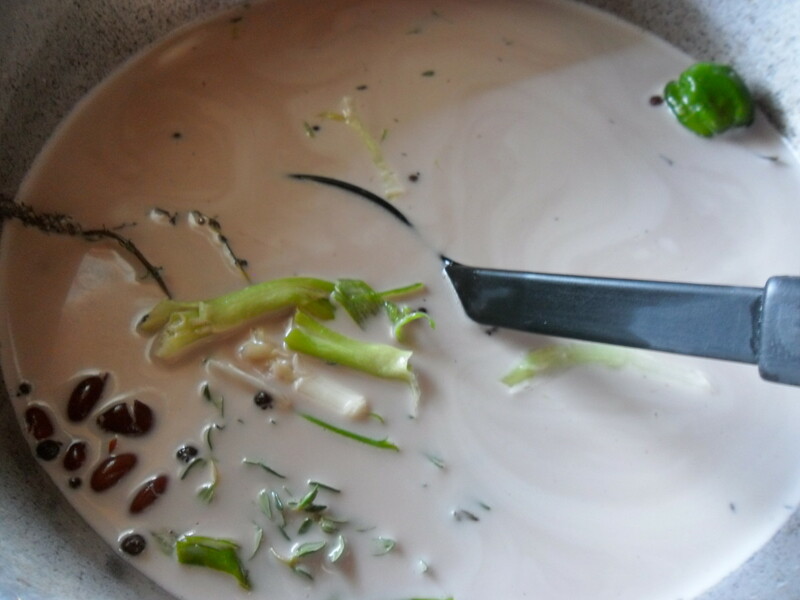 You can substitute your coconut milk for plain unsweetened soymilk too! As you can see, rice and peas is enriched with vitamins and minerals. A very healthy dish. First let us talk about molybdenum. This is a trace mineral that many of us have never heard of and if you take a look at the table you will see that this is the most prominent nutrient in red peas. Molybdenum has more than one benefits. It helps to metabolize iron and synthesizes the proteins in our bodies. It also helps to metabolize fats and carbohydrates and is absorbed in the body through the intestines and excreted when we urinate. This very important mineral also helps to reduce the toxicity of preservatives in foods by detoxifying the sulfites. Sulfites can be dangerous and without molybdenum many of us may have developed health issues such as heart problems. Some allergic reactions to sulfites are headaches, rapid heartbeat and disorientation. 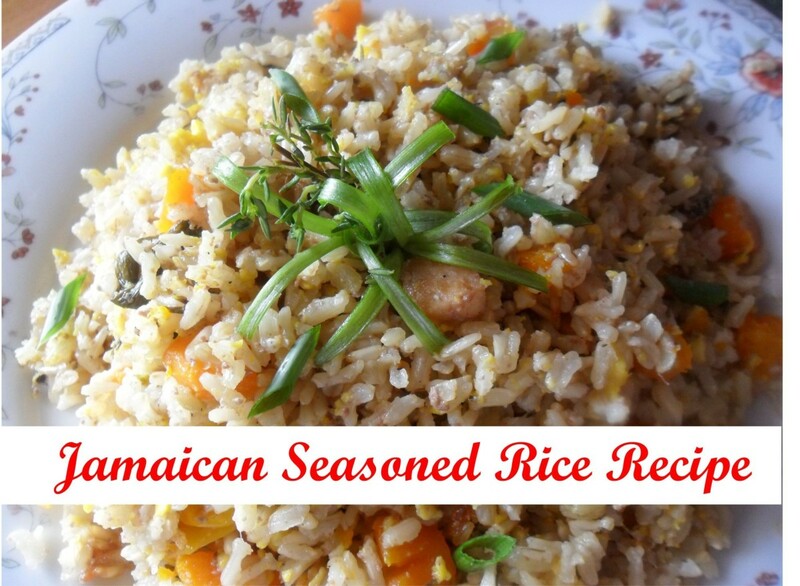 A good source of protein and when combined with rice as in the Jamaican style rice and peas, gives you a high quality source of protein that is free of trans or saturated fats. Here we have another life saver because kidney beans are very rich source of healthy fiber. This fiber helps to reduce the bad cholesterol and also helps to prevent the blood sugar from spiking after a meal. These beans are quite healthy for the diabetic and hypoglycaemic. In my research I could not find any information that stated any kind of sodium levels in red peas. if there is any sodium in there the amount might be too small to note. If you notice that the beans have 22% of the required daily serving of potassium, makes it a hypertension fighting food. With little or no sodium kidneys are high on the list for hypertensives. 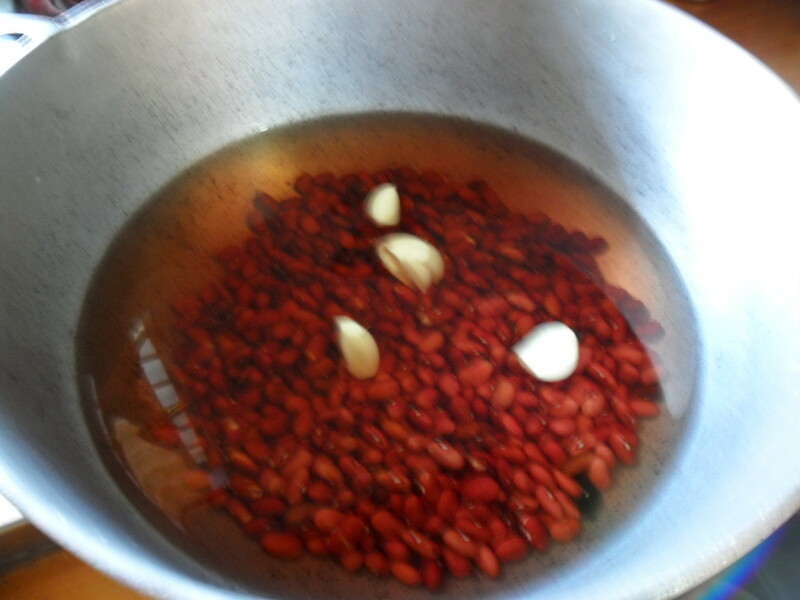 A traditional Jamaican way to reduce the cooking times for dried beans is to soak the beans over night. We cleanse the beans properly by removing any unwanted material or bad peas, rinse and drain. Then add enough water to cover beans leaving about three inches of water above beans. You must place beans in a large container with enough head space after the water is placed in it. Cover and rest overnight. The beans will increase about 150% in size. Drain the liquid from the beans and add fresh water and cook. Usually this cuts the cooking time by about 30 - 40%. The disadvantage is that the color of the beans and rice and peas will not be as bright because you must drain the water it was soaked in and that water contains the color of the red peas. I don't like this method. Another way to reduce cooking time is to put the beans to boil. As soon as water boils turn flames off and let stand for an hour then return to fire. Add more water and let cook. You will cut your cooking time by about 25 - 35%. I prefer this method. Note that all photos and video used in this article belongs to the author. Oh, you probably had too much fluid in it. I just made this, I think I the 4 cans of coconut milk was too much or I didn't put enough rice in it.. it tasted good, just wished the milk cooked out like water..
Hello Hezekiah, wow, you are from the Caribbean, that's great! I am sure your wife will enjoy making it. Thanks for stopping by. Have a wonderful Monday! Nice Video, I have no Caribbean family out here in Asia. I need to translate this into Japanese now for my wife. But I'd cook if I had the time . Thanks a lot. Thanks Jan and I do hope you get it right with the help of my recipe. Thanks you, Cardisa. My condolences on the loss of our brother as well. I lost a brother, too. Still painful. Yes, I'm Jamaican-American, both parents from St. Ann, I'm first generation. I've never perfected the rice and peas, still trying. I will try on Sundays with the help of your recipe, too, and honor my mom. Hello Janshares, I am so sorry for the loss of your mother. I recently lost my brother as well and I know it's still painful. Are you Jamaican? I hope you make your rice and peas every Sunday to commemorate your mom's cooking. Thanks for stopping by and have a great week. Unbelievable hub, Cardisa. Watching you cook brought back memories of my mother cooking rice and peas. I can smell the steam of the coconut cooking down right now. I miss her so much (deceased 2yrs). You are very thorough in your presentation. Thank you for this hub and for the authentic journey. Thank you Vibesites, I hope you love this one as well. Thank you for sharing Wesley. I hope you enjoy it when you do give it a try. Interesting hub. I love experimenting with foods from different areas. Will have to try this soon. Voting up and useful. I've pinned your hub on pinterest and will share with my followers. Hi PiYe19, thanks, glad I could help. Have a great weekend. Hey ! Thanks alot, this improved my cooking of a dish I love to prepare. Hi Brake12, thank you for reading this hub and my profile. I hope you try this recipe. Have a great weekend. hi Cadisa. This recipe is mouth watering and presented with good clear instructions. You certainly are multi -talented with your certificates and degrees. It sounds like you love to cook. I need to read more recipes. Take care. Hi Coffeealera, your comment made me smile. Thank you for reading and commenting. Have a beautiful Sunday afternoon. I am going to the supermarket tomorrow to find these ingredients. This sounds so wonderful to make and even greater to pass through my lips. Iamaudraleigh, thanks you so much for the visit and thanks for sharing. Have a great weekend. I cannot wait to try this recipe. No wonder why it was hub of the day...great formatting and presentation! Voted up and shared!!! Thanks Nell, I know you are just going to love it. Let me know how it turns out. Thanks for stopping by. Hi Etherealenigma, brown rice works great and is even healthier. You would use about a 2/3 brown rice to the quantity regular rice. So my recipe would have a little over 1 1/2 pounds for the brown rice. Thanks for stopping by and I hope it turns out well. I copied the recipe and am itching to try it. Was wondering how this might work with brown rice? Trying to be more health conscious. Thanks. Thank you Urmilashukla23. This is the Jamaican version. I know their are other versions to it. I hope you can share your recipe sometime. We make kidney beans and rice a lot. Your is little bit different. Thanks for posting it. Congratulations for HUBT award! I am so glad you love rice and peas. I haven't had that type of chicken but I suppose it similar to a Spanish dish. Well, we just finished a dinner of rice and peas (kidney beans) and broiled chicken breast marinated in Mojo sauce ( a Cuban sort of thing). It was amazing. We used coconut milk and some chicken broth for the beans and with all those wonderful spices, it was deeeeelicious. We recommnnd it highly! It does take a while to cook those kidney beans though, especially if you forget to soak them overnight. Sen.Sush23, I am part Indian and for the past year + I have been getting familiar with South East Asian and Indian cuisine. I love Indian and Asian food in general. I hope you can share that recipe with me sometime. I really hope you like this dish. Wonderful recipe again. I must try this. 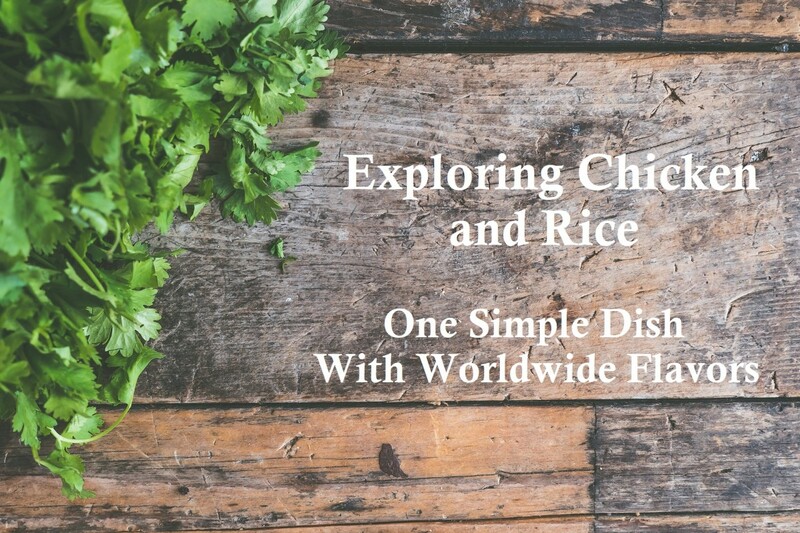 In Indian cooking, the southern part particularly and Srilankan, you have recipes very similar to this. Only difference is thyme and scallion, instead we use bay leaf and curry leaves and also seasoning of mustard seed. Voted up. Thanks Green Lotus! Really appreciate it. Have a great day! Congratulations on this Hub being honored as "Hub of the Day"! It's great and the video is terrific. Super job Cardisa! 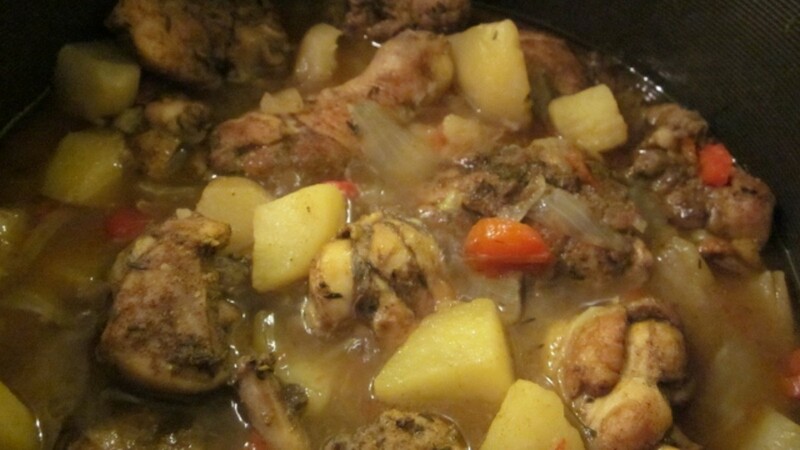 I am sure many people will try one of our favourite Jamaican dishes. Thank you for sharing and congratulation for getting the Hub of the Day award. Vote up! Had to come back just to hear your voice again! :-)! Hello Eye Say, after teasing me with your mouthwatering recipes, I am giving you something back....lol. You are just going to love this. Thanks for reading and commenting. Hi Amilipitt, this is no experiment. This dish has been around for hundreds of years. It was brought over from Africa (with a few changes of course. I believe the other rice and beans are mimicking this recipe. hi Matthew, now you know what I sound like! Thanks for comment. :) and thanks for sharing too. Wow Audrey, I forgot to mention that in the hub! Thanks, I hope the readers see this comment. Hey Sky, thanks man. Love the encouragements! Hello Vesawoolf, thank you. I am sure you are going to like it! Hi Rebecca, thanks for stopping by! I love Malaysian food but if we had to spell some of them before eating we would go hungry LOL. this looks so good can't wait to give it a try! Bookmarking it for sure! thanks for sharing! Hi Deborah, thank you very much. I am so happy that you love rice and peas. Rasta, pressure cooker and plastic bag is for people who cannot cook...I don't know where them get the style for cooking peas in pressure cooker to lose the flavor. If you making rice and peas long enough, you don't need to steam it with plastic bag! I can't wait to try this, it looks so delicious and I love traditional rice and beans. Thanks for adding the option of coconut milk - fresh are hard to get where I live. Great hub for food lovers as well as who have passion about cooking. Very interesting and innovative experiments done with rice and peas. Congrats on Hub of the Day, Cardisa! Congratulations on the Hub of the Day Cardisa! You definitely earned it! Awesome video, photos and recipe instructions! I have been waiting to hear your "Jamaican" since the last Video Chat lol! Awesome job! Voted up and SHARING! This looks fabulous! I am a vegetarian who is also gluten free so I am always looking for new ways to cook rice and beans! Hey Congratulations , it's only the start of things to come . Keep your eyes on the prize. The sky is the limit and these are the steps . There is an elevator also, waiting. This is a super unique hub. Thanks! I plan to try your recipe! I've never cooked (or eaten, for that matter) Jamaican food. I have had one Malaysian dishes that I LOVED. I would list it but can't spell it, LOL. This looks remarkable and I do believe that before too long I will be eating my first Jamaican dish. Thanks so much for the recipe, video, directions and great pics! Voted up, awesome and bookmarked! I loved this dish when I was in Jamaica. Thanks for sharing the recipe and all the useful information, and congratulations on Hub of the Day. You left out the pressure cooker and plastic bag over the pot when it soon done. Rice and peas is a must every Sunday, Front page fit you my dear. Thank you Susann23b, I really appreciate the visit, the comment and the vote! CookiesNoCrumbs, yay! another Jamaican. Welcome to my hubspace. Thanks! ComfortB, I would love to try some Nigerian recipes. Thanks for stopping by and commenting. Yum, yum! is all I can say. Great recipe, and I', sure it taste good too. Very similar to the way we cook it in Nigeria. Hello Techygran, I am sure you will love it when you make it. Thanks for sharing. Thanks Melbel. I wanted the hub to be extra special...lol. Really appreciate the comment and the visit! Congratulations on this hub of the day-- the video is a great addition and it looks lip-smacking good. I am going to try it right away and tweet it! Voted up! Oh wow! That looks REALLY good! I love the images in the vid of how you have all your ingredients set up on your cutting board... very pretty/artsy. Fantastic, hub, by the way! I love how it's set up + you have me super hungry now. Thanks Dexter, so now you know what I sound like! Thanks my friend. Cardisa! What a magnificent meal! I love everything about this hub - video, photos, recipe and your lovely voice! Congratulations on the "Hub of the Day." You are more than deserving! Hooray! I love this rice so much. My sister married a rasta from Jamaica and she learned how to make this rice with perfection. It is delicious! Whenever we have family get together, she always brings the Jamaican rice and peas and curried goat. We all love it so much. Thank you, now I can learn to make it with perfection with your hub! Voted up! Thank you Randomcreative. Appreciate the comment and visit. Thank you gogogo, I hope you enjoy them. Thank you Jeyaramd. Fast food is crap and I certainly don't indulge in it or encourage anyone to even try it. I cook from fresh ingredients every day because that is best. Thanks for the wonderful comment and for visiting my hubspace. Thanks! Really appreciate the comment Wellness. Awesome hub! Very well done. Congrats on getting Hub of the Day. You really have outdone yourself. This recipe looks amazing. And the fact that its healthy is really something to rave about. The video is a great accompaniment to your hub here. Its beautiful the way you captured the essential steps of the dish. I enjoyed this hub immensely. I felt that I had already cooked the dish. Traditional jamaican foods are awesome. Its a welcome deviation from the fast food jamaican places around town. Thanks for sharing such an inviting hub. Voted up. Loved your article. Congrats on getting hub of the day. Cloverleaf, thank you. I had no idea so many people liked Jamaican food! Patties are another tradition here. I know you will love the rice and peas too. Happy cooking. Senoritaa, thanks for visiting. Using coconut is the tradition here in Jamaica. Thanks for the comment. Hi Cardisa, I'm so happy that you published this hub! I make my own Jamaican Patties at home and have had a go at making rice and beans but was in need of a really good authentic recipe. Now I have one! I think at the weekend I will make a batch of patties with rice and beans and fried plantains. Congrats on Hub of the Day - you deserve it! Rice is much loved food in my culture. Rice with kidney beans is considered royal food. Thanks for sharing about Jamaican culture. Congratulations for the hub of the day. Wow wow! 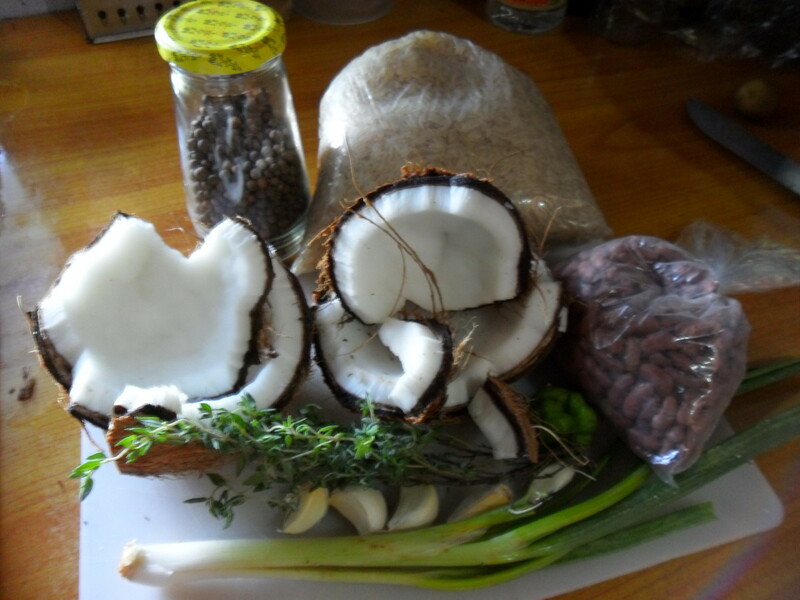 The coconut surely will add to the charm of red peas and rice. Thanks for the recipe! Hi Cathy, you may know that pimento seed as allspice! I just post that....thanks for asking. I hope you find pimento seeds. A good substitute is cloves. They have similar flavours but cloves are spicier so you would use like 4 for that pot of rice and peas. Hello Starstream, thank you. Many people, especially Jamaicans, don't realize the value of the rice and peas, that they are really having a high protein dish. We have the rice and peas as a side, not a complete meal but in reality it should be had by itself. Hey Rasta girl, you are giving me ideas for other Jamaican recipe hubs. Whenever I make dumplings and spinners I will certainly post them here. what in the world is a pimento seed and where in the US can i get them? Congratulations on your hub of the day! Nutrition is so important and I like the way you explained the value of this recipe. I just need you to help me with my dumplin game,boiled and fried and spinners for my soup and I'll be golden. Hi Cyndy, I think pigeon peas is the same as gongo peas...not sure. There is no substitute for coconut milk. I love Jasmine rice, I wish there was Jasmine parboiled rice too.